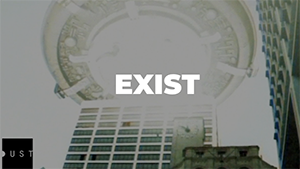 Dust is a multi-platform destination featuring stunning visions of the future by the filmmakers of tomorrow. 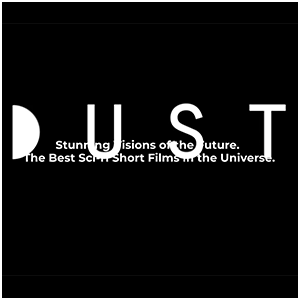 Dust is a new company that specializes in featuring science fiction short films and other immersive content created by up-and-coming filmmakers and storytellers. The site curates exiting films, working with filmmakers in order to feature shorts exclusively on their platform. The site is growing, so they even have a submission form if you’d like to see your own work featured on Dust. 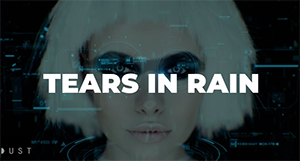 There’s a ton of great content featured on the site, from “George Clinton Gets Funky On The Moon” to a 3D experimental short “about synthetic drones, neon dubstep, and the surveillance state.” If you’re a fan of sci-fi, there’s certainly something for you on Dust. Dust also offers a great way to find new, up-and-coming sci-fi storytellers. In its current formation, the site isn’t the most well-organized thing on the web. There’s simply a thumbnail picture for each video, and the titles appear when you hover over them. When you click on them, you’re directed to a page with an embedded YouTube clip. Still, this takes away some of the preconceived notions involved in the film industry. You don’t watch stuff on Dust just because you know who made it, you watch it because it looks intriguing or has a cool name. Then you can find out who made it, and support the best new voices in the sci-fi film world.